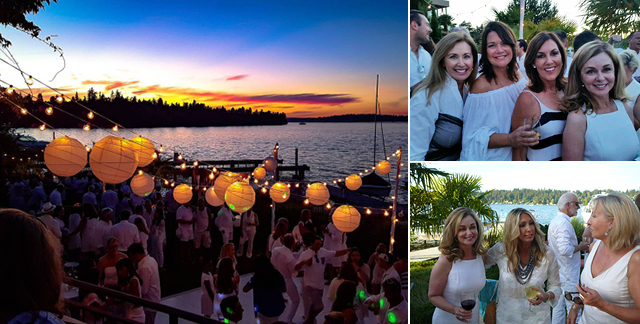 On August 12th, I attended the second annual Soirée en Blanc at the Mercer Island home of our fearless leaders, Dean & Stacy Jones. It was a fabulous evening celebrating the close-knit network of brokers, vendors and clients who make up the RSIR family. 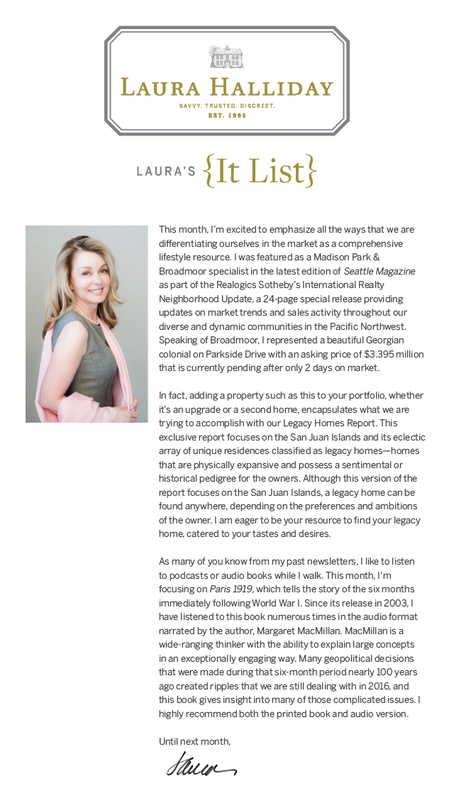 I am thrilled to share that I am featured in the latest edition of Seattle Magazine as a featured Madison Park & Broadmoor specialist! The Pacific Northwest is home to a diverse collection of communities, dynamic lifestyles and real estate micro-climates. I invite you to discover market trends and perspectives in your area, where every residence is a Realogics Sotheby's International Realty home. 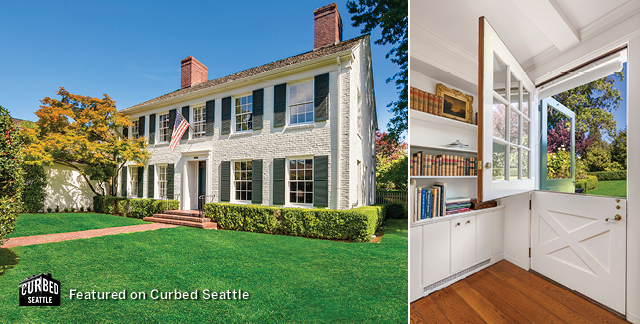 2030 Parkside Drive E, Seattle | This treasured Georgian Colonial, sited on an expansive, flat double lot in Broadmoor, went pending in 2 days! Handsome "curb appeal" greets you, from the symmetry of the home & divided light windows to the lovely brick pathways and mature holly hedge. Offered at $3,395,000. 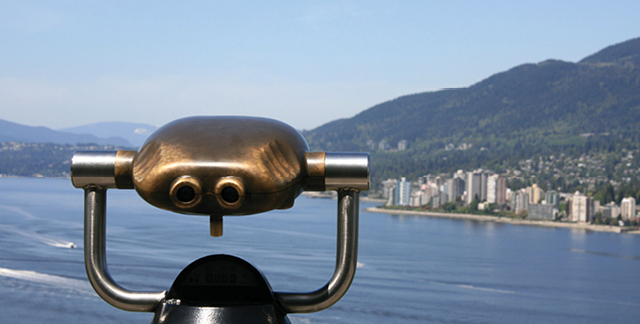 Foreign buyers in Vancouver will be paying more for investment properties this month (beginning August 2). The Canadian provincial government of British Columbia has enacted a 15% real property transfer tax on foreigner-purchased properties in Metropolitan Vancouver, adding $300,000 to the cost of a two-million-dollar home. 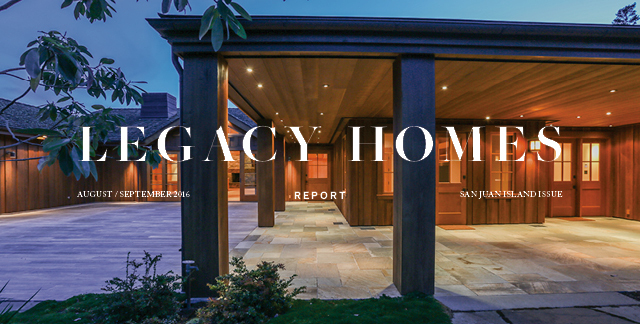 For many celebrities, successful executives, and business owners at the pinnacle of their careers, a legacy home is chief among the rewards for which they have been striving. It offers a place of refuge from their hectic routine, and for some, a place of productive solitude that allows them to focus and reflect. 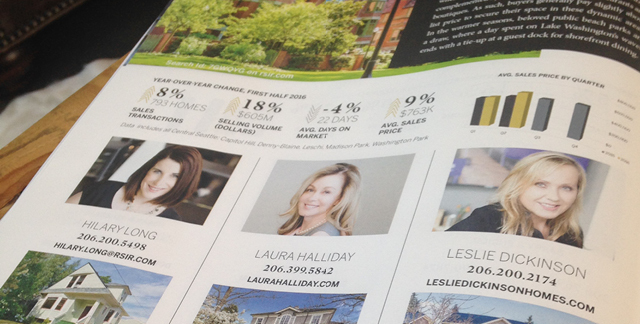 The Legacy Homes Report, produced by Realogics Sotheby's International Realty, compares the markets of the San Juan Islands in Washington and the North & South Shore of Long Island, New York. 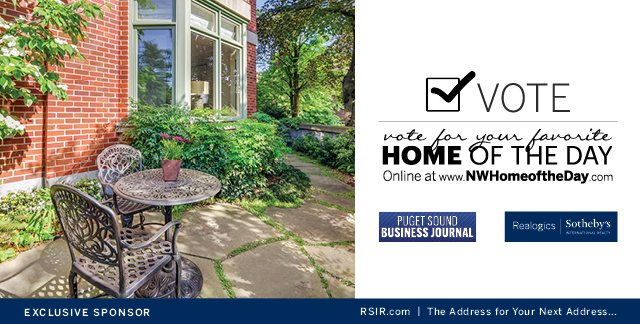 Home of the Day is a feature presented by the Puget Sound Business Journal and Realogics Sotheby’s International Realty. With a unique listing featured EACH DAY, this is your invitation to view some of Puget Sound’s most luxurious properties. Year-to-date, the program has reached some incredible marks. The photo galleries have experienced over 600,000 page views by 40,000 unique visitors, with more than 1 million photos seen (85% of users view all photos in each gallery). The daily afternoon newsletter reaches 23,197 subscribers. I can't wait to see how these numbers grow by the end of the year. If you have read my newsletter before, you know that I like to listen to podcasts or audio books while I walk. 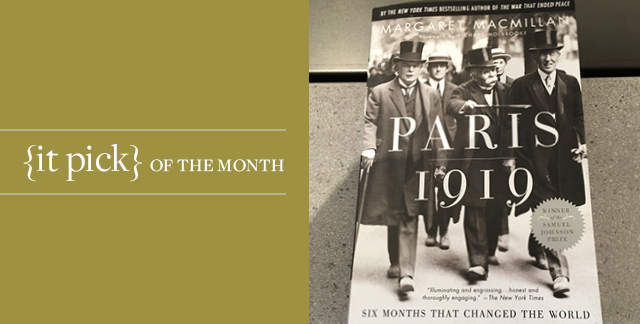 I am bringing this book to your attention because I have not only read it when it first came out in 2003, but I have continued to listen to it over the years in audio format (The Modern Scholar series through Audible) which Margaret MacMillan herself narrates. Professor Macmillan is an exceptional history writer: engaging, direct and interesting (sometimes even funny), but also a wide-ranging thinker who see and explains the vast sweep of history. Her knowledge of world history and her ability to explain it concisely and in a way that is so engaging to the reader is exceptional. So many of the decisions that were made during this time have had ripples that we are still dealing with today, and they are fully illustrated in her explanations of the various ethnic claims for land and self-rule; her ability to compare and contrast these claims is extraordinary. The bottom line is that this is truly a history book that is very hard to put down, and also one that can give one so much insight into the complicated issues that we are still dealing with in 2016. I highly recommend both the book and the audio version (she is such a fantastic narrator, honestly I might even say I like the audio version best).